The Jupiter Waterfront Quarter is sited on a 9.7 acre parcel at the heart of the Town of Jupiter, FL. The site is bounded by major thoroughfares, US-1 and Indiantown Road, and by the Intracoastal Waterway. The project is conceived as a dense, mixed-use pedestrian-friendly environment patterned after Spanish-Mediterranean urbanism. 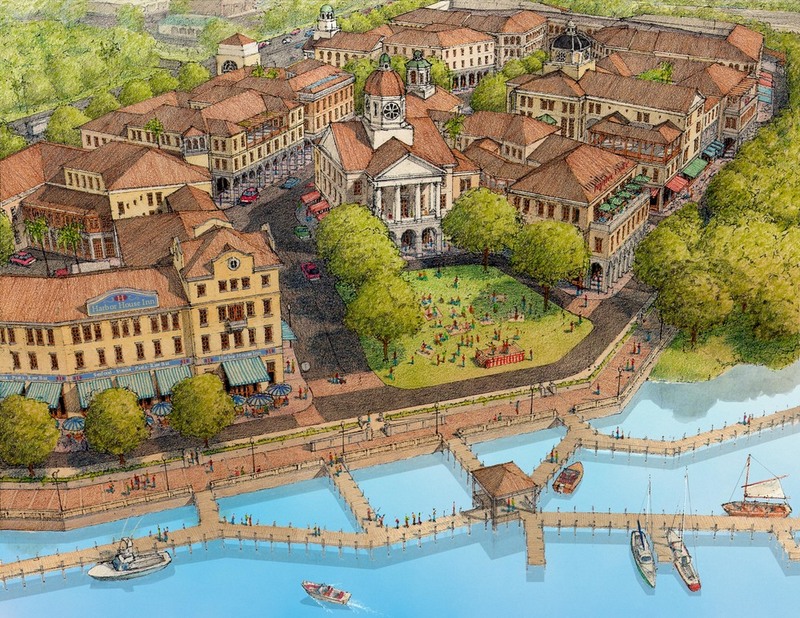 The plan is configured as a fully public network of streets, plazas, squares, courtyards, and waterfront esplanades. A broad range of uses are mixed both horizontally and vertically to create a truly walkable park-once environment.